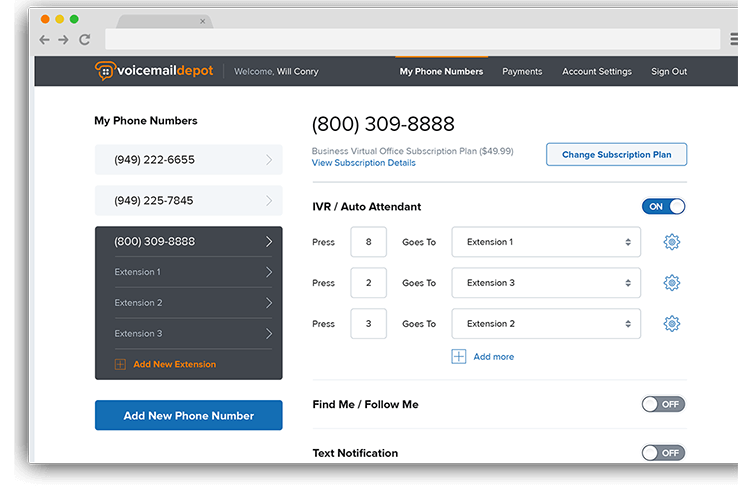 Voice Mail Depot is a VOIP service provider that uses a robust web application to manage the services they offer. 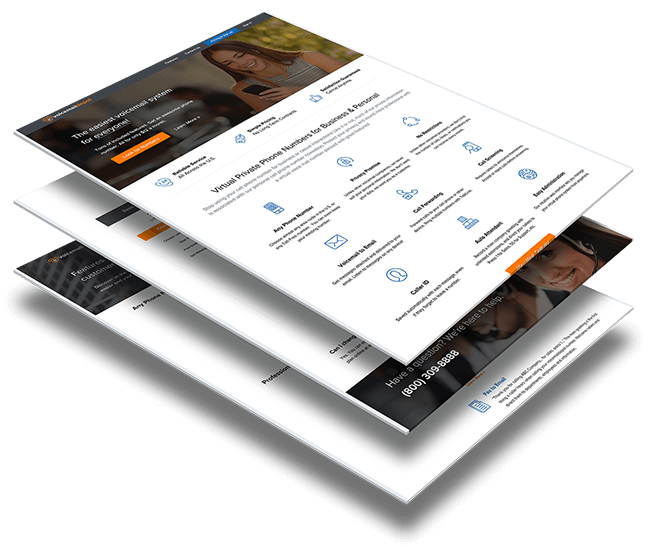 We designed & developed their front-end site and back-end admin panel to allow users and admins the ability to control every aspect of the service. 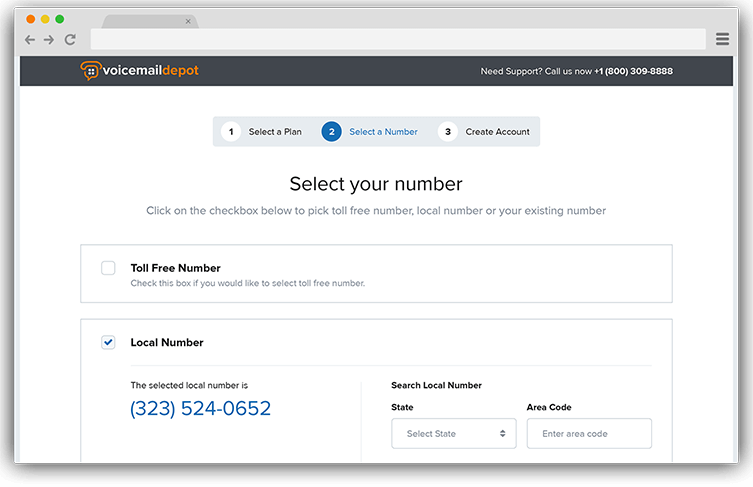 We provided 3rd party integration with an external API that provides available numbers to the users so that they may select the one they want. There is also a feature to allow the user to enter their own number and register it if available. This once again queries multiple back-end systems and APIs. We designed the back-end panel such that the admin has the ability to create & manage the packages offered to the customers. 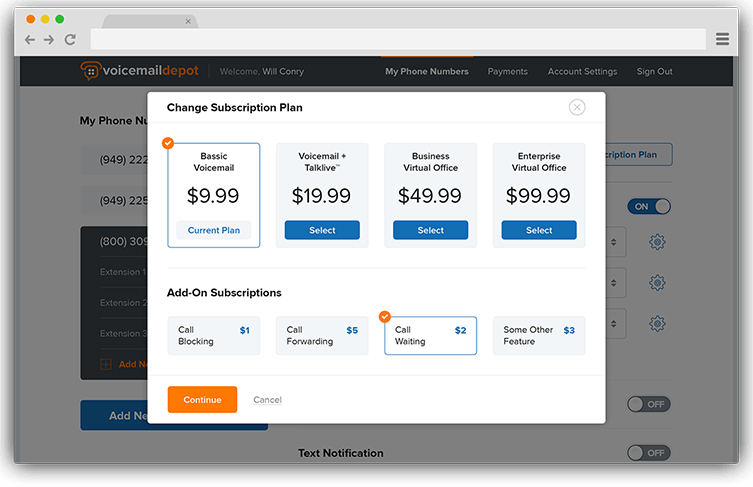 Running special promotions and deals has never been easier for Voice Mail Depot and the users could not be happier to see these flexible plans. Sometimes the exact plan you need is just not offered. No problem. 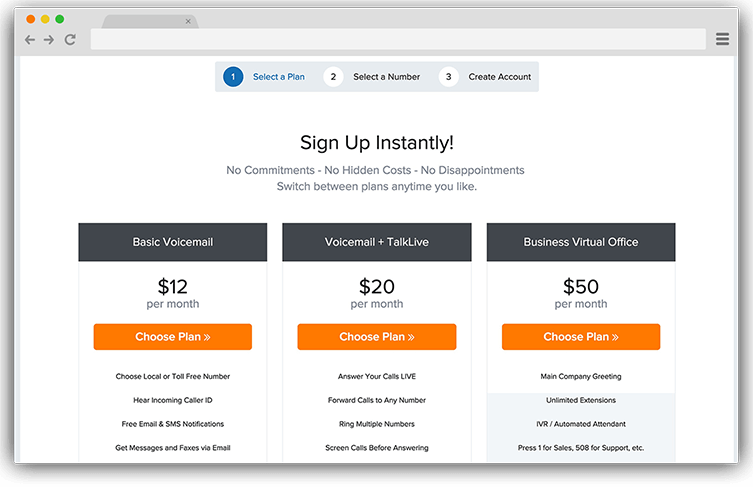 We designed a custom addons section which allows users to sign-up for the plan they like, and then select the add-ons they feel were missing from the package. Pay for what you need and nothing more. With this level of flexibility, VMD has been able to see an increase in their up-sells. Moderating your own account, or resolving issues with other user accounts as administrator has never been easier. This robust admin panel provides the users with an intuitive interface through which they can control how their account responds in different situations. 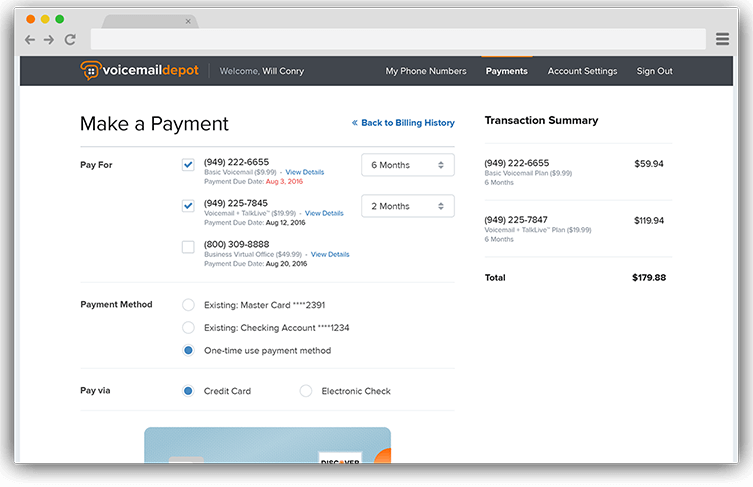 Integration of payment gateways for credit cards and electronic check payments makes it possible for VMD to operate as a subscription service. Recurring payments, reports, billing and invoicing all becomes a breeze with our custom payments solution. 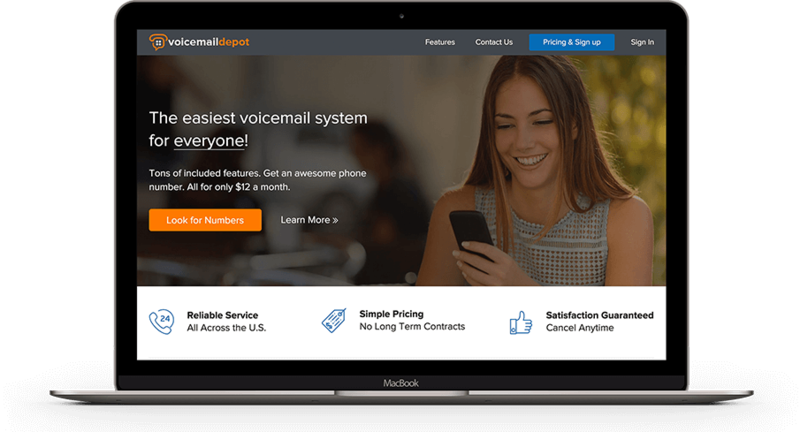 Voice Mail Depot's overhaul of their web site's front-end and back-end systems has resulted in a huge increase in customer satisfaction, retention and new customer acquisition, leading to future enhancements on the roadmap for 2017. Cygnis continues to outperform our expectations from design to development, and go an extra mile for us. They consistently delivered high quality custom applications for us and easily have become one of our most trusted development partners.